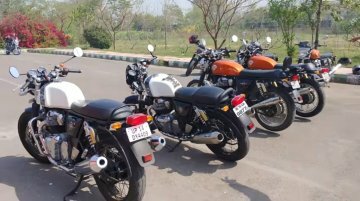 The Royal Enfield 650 Twins have received several aftermarket options to enhance their aural characteristics. 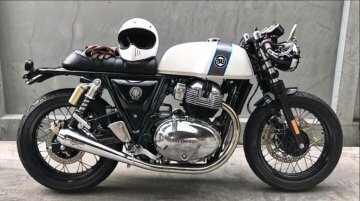 Till now, the two motorcycles have received slip-on exhausts from brands like Grid7 and..
We recently came across a subtle, yet appealing modified Royal Enfield Continental GT 650 via YouTube. 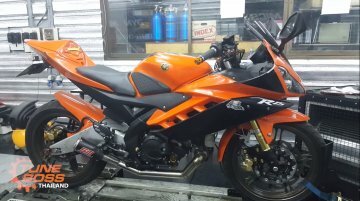 The motorcycle does not feature an extreme makeover with aftermarket parts. Instead, it gets.. 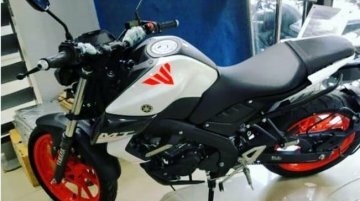 Recently, we saw a dealer-level modified Yamaha MT-15 in a shade of white colour and with orange rims. Now, we stumbled upon more dealer-level paint-job modifications for the new model. Although the..
It’s been a while since we brought you a restoration job, and so, we decided to come back with a bang. 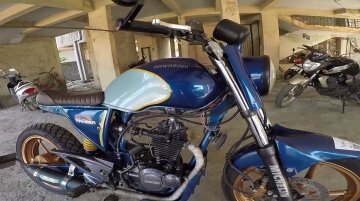 The latest restoration post comes from R Deena’s garage in Mysore, who has shared the images of..
Russia’s Zenikov Garage showcased a heavily modified Bajaj Pulsar NS200 at Motovesna 2019, and the custom motorcycle carries the name of India’s party capital - Goa. Christened as the 'Goa Fighter',.. 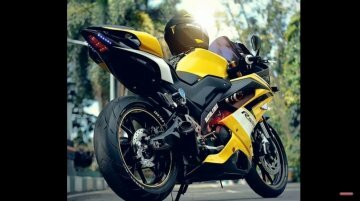 The Yamaha YZF-R15 V3.0 is one of the best-looking models in its segment. 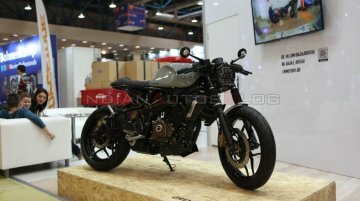 However, some folks from Vietnam have managed to make it look even more spirited and aggressive, by transforming it into the..
India Yamaha Motor may have introduced the MT-15 in only two colours – Metallic Black and Dark Matt Blue – but that hasn't restricted customers from going for other colours, thanks to dealer-level..
Royal Enfield is displaying two custom models at the 2019 Bangkok International Motor Show. 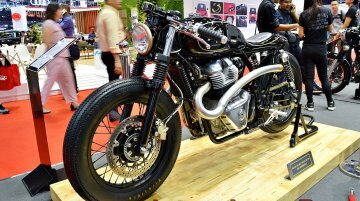 The first, which we brought to you earlier this week, was the Continental GT 650 based Vayu. The second.. 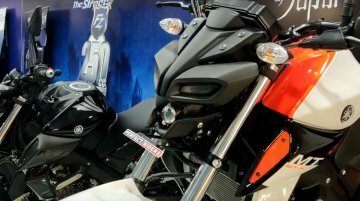 Here is a Bajaj Dominar 400 that has been prepped to survive the challenging terrains of the 2019 Desert Storm rally. 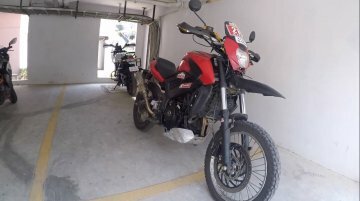 The rally-prepped Bajaj Dominar 400 would be ridden by Sarath Shenoy, and he walks.. This week’s restoration report has a little twist to it. 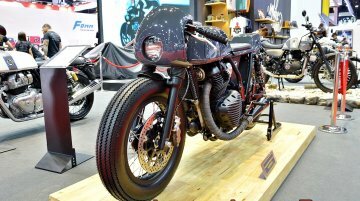 What you see is a custom made bike that is built around a 1967 Jawa 250 cc engine. The owner of the motorcycle, Rajasthan based avid..
Red Rooster Performance has started dispatching the aftermarket exhaust for the Royal Enfield 650 Twins. Here's a YouTube video that showcases the unboxing, installation and sound from the Stellar.. The Yamaha YZF-R15 V2.0 that you see in the video is far more potent than the standard model. 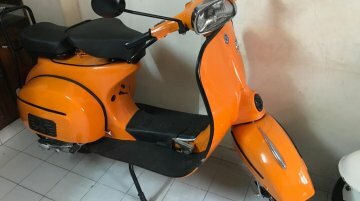 The motorcycle was modified by TuneBoss Thailand. The redline of the engine goes well-past the stock.. 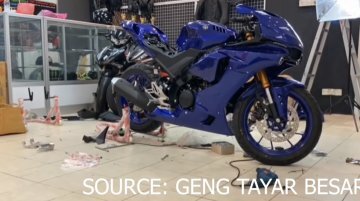 Someone from Indonesia gave his Yamaha YZF-R15 V3.0 a massive makeover, and the result is quite stunning. 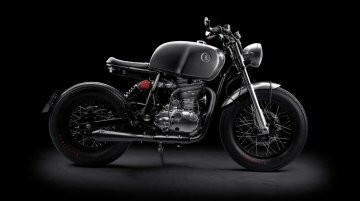 The motorcycle gets accessories ranging from projector lights to tail tidy. 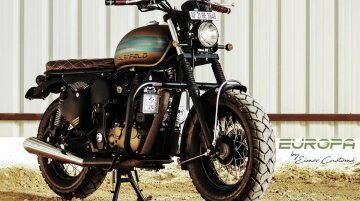 Also..
Eimor Customs is back with another motorcycle that converts a standard Royal Enfield into an appealing package. 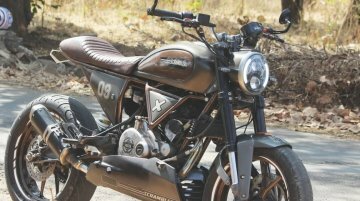 This time, the folks at Eimor took a Royal Enfield Desert Storm 500 and gave it an..
What you see here is a motorcycle that looks like a Ducati Scrambler. That said, you'd be surprised to know that the bike underneath is a Bajaj Pulsar 180. 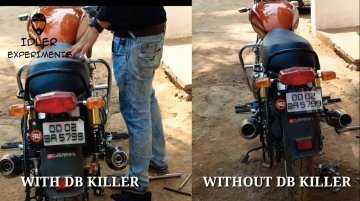 Youtuber 'Bullet Singh Boisar' has released a video of a custom Kawasaki Bajaj Caliber 115 that has been modified into a neat scrambler. 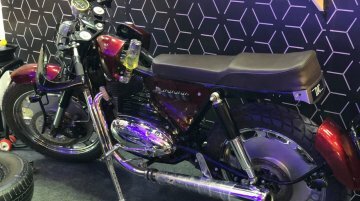 According to the YouTuber, the Kawasaki Bajaj Caliber 115..
Krishna Rajan of KR Customs shared images of a completely overhauled Royal Enfield Continental GT 535 that has received a makeover to mimic the styling of the BMW R100. Krishna is a die-hard fan of..